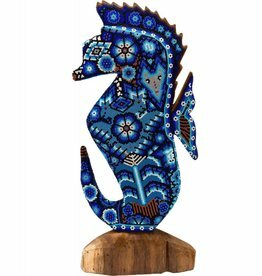 Figures carved from local wood or made with ceramics are coated with a mixture of bees wax and pine pitch. 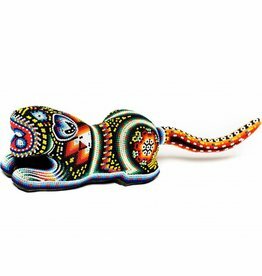 The beads are then placed on the wax one at a time. 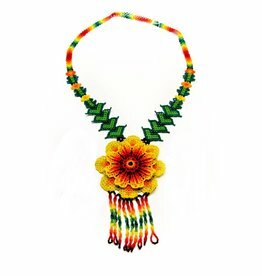 The designs come from traditional Huichol culture. 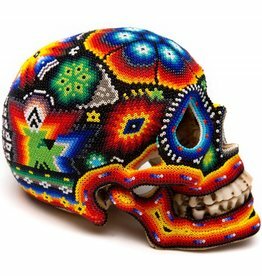 Beaded Ceramic Human Skulls (Huichol). 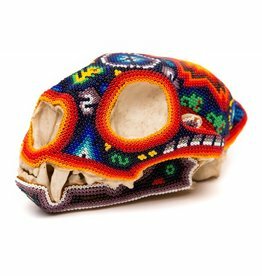 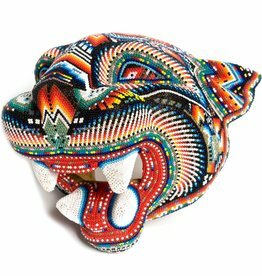 Jaguar Head Carved and Beaded by Santos Bautista (Huichol). 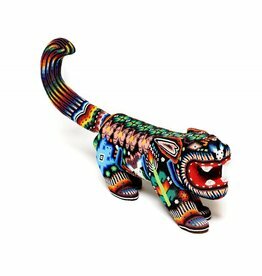 Jaguar Beaded by Julian Bautista (Huichol). 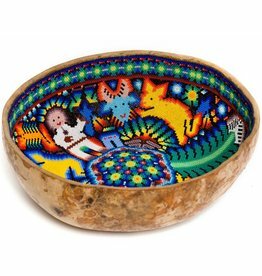 Gourd Bowl Beaded by Sylvestre Castro (Huichol). 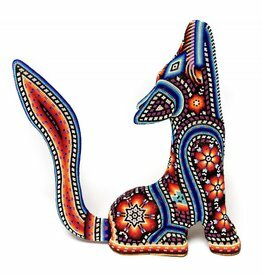 Coyote Carved and Beaded by Santos Bautista (Huichol).